Keep it simple. Focus on what really matters. 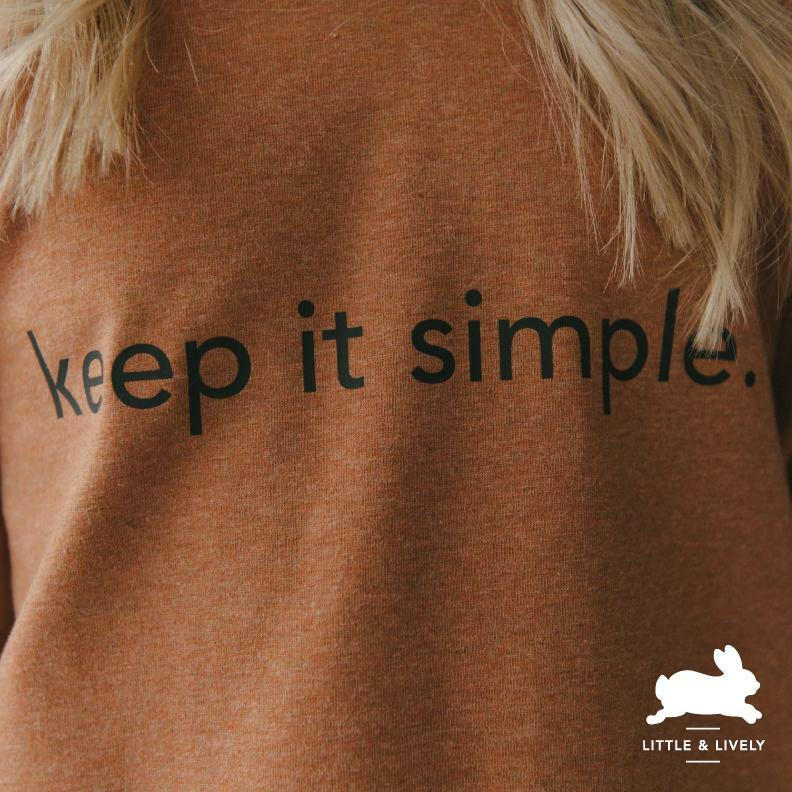 This heathered cinnamon pullover is made of super soft cotton jersey by Little & Lively and is made for messy, exciting, fun-filled fall days. 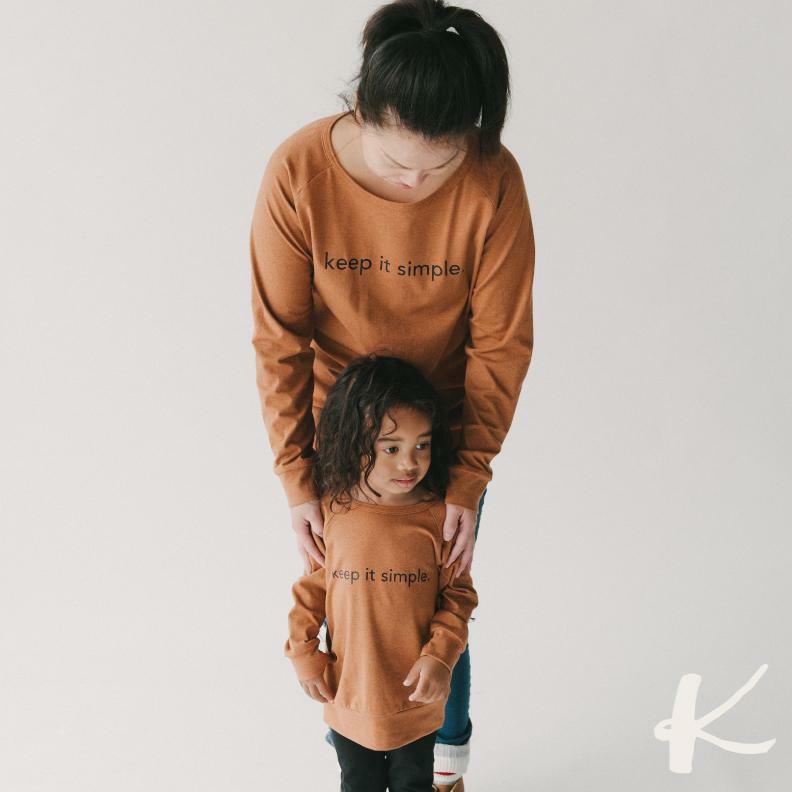 Designer Carmen West and husband Jordan are the duo behind the brand, which creates clothing with family life in mind. Watch out for their new adult clothing line in fall 2017!